My family moved to Westport from western Kentucky just 2 weeks before I started kindergarten at Green’s Farms Elementary. I was the youngest of 4. My father chose Westport because he wanted his kids to get the best education possible. In 1958, Fairfield County was ranked #1 in the country. My family was very Southern. In those early years I was mocked unmercifully in the classroom for my thick Kentucky accent. By the time I graduated from Staples, the accent had been tamed — and my parents mocked my “Connecticut Yankee” accent! We moved back down south the week I graduated from Staples. The southern accent has gradually reclaimed me. But this is a brief story about bourbon. It’s timely, because September is Bourbon Heritage Month. My 2-year-old company, Lexington Silver, is Kentucky-based. But the products are all made in New England — mostly in Connecticut. 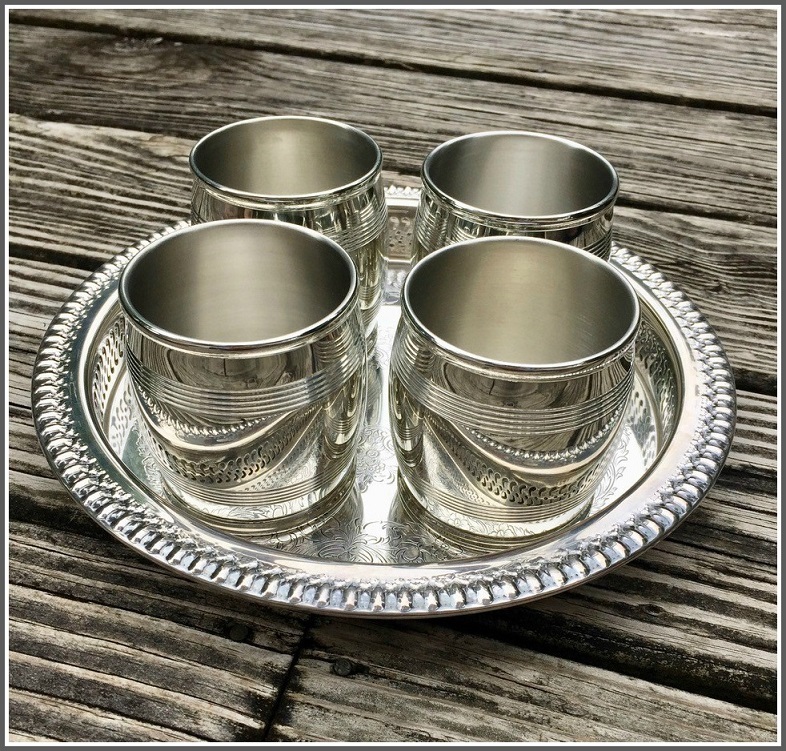 We manufacture a variety of bourbon-themed products, based on the timeless designs of silversmiths from bygone eras. Bourbon — the amber elixir originated and perfected in Kentucky — is now celebrated around the world. We started with the resurrection of one of Kentucky most noted silversmiths. Asa Blanchard’s designs were made in downtown Lexington from 1806-1838. 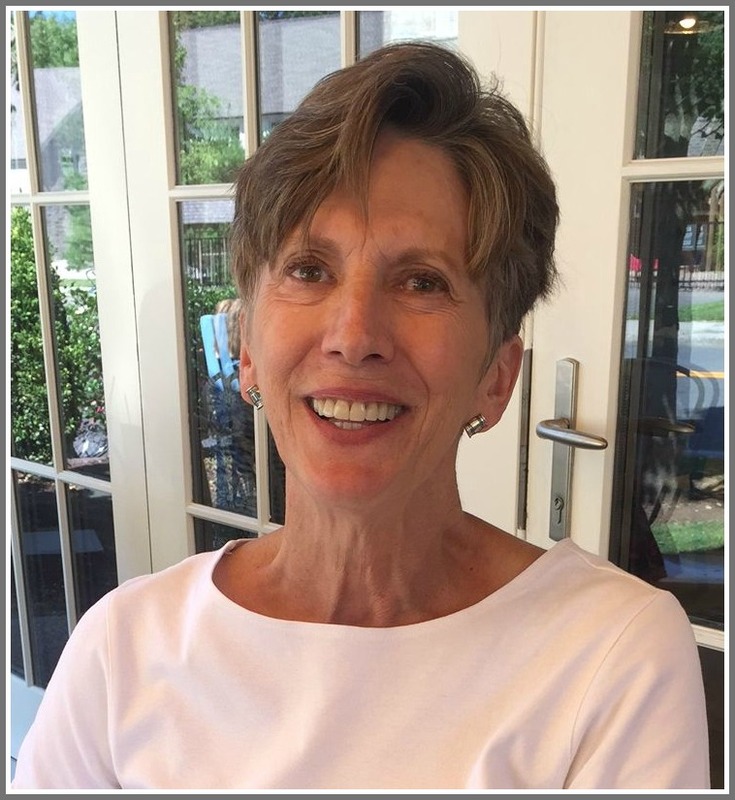 As I researched and learned more about Asa Blanchard, I was hooked. Known as “the Paul Revere of the South,” his original designs made from coin silver are highly sought after by serious silver collectors. Mirror-finished pewter Asa Blanchard barrel beakers (3″ originals), on a vintage tray. The barrel beaker was an instant classic. It is shaped like the barrels in which Kentucky’s favorite distilled spirits were aged. These fist-sized coin silver barrel beakers and julep cups were the perfect complement to the bourbon that flowed freely, as the first Kentuckians established a culture built on hospitality and horses. Early settlers rode to Blanchard’s shop from their farms on the edge of the wilderness, carrying bags of coins ready to be transformed into fine beakers, cups and tea services. Despite my Westport upbringing, I am a Kentuckian. Back in the 1950s, my grandfather had a shot of whiskey every morning before his feet hit the ground. He then stood at the bathroom sink in a long white nightshirt, honing his straight razor on one of two long leather strops, and shaved without a nick, cut or curse word. He lived to be 91. He was a kind and happy man. I think the eye-opening drink of bourbon had something to do with it. 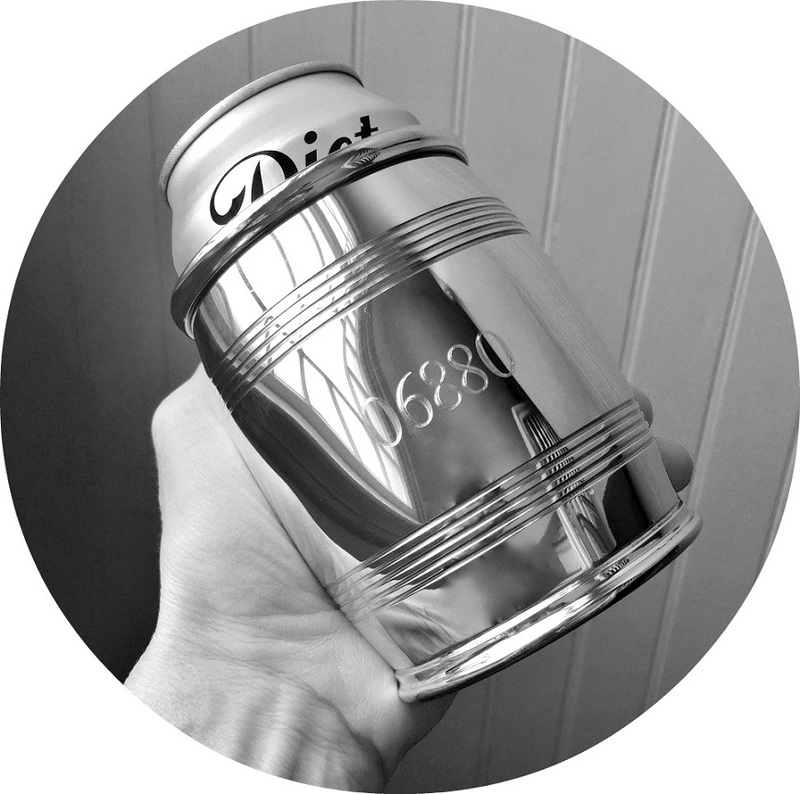 A 4″ slim barrel beaker does double duty as a koozie — and is engraved very handsomely.